At pwoutlet, we're known for offering only the highest-quality brand-name products to our customers, but like all mechanical equipment, things break, wear out with age and use, and parts must be maintained or replaced. Here you'll find a comprehensive selection of hot water pressure washer burner parts you may require in keeping your hard-working pressure cleaner running in top form. 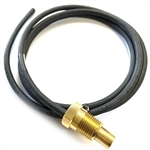 Our pressure washer burner repair parts include reed and pressure switches, fuel nozzles and filters, hour meters, temperature gauges, adjustable thermostat units, ignitors and replacement electrodes and more! If you don't find the burner or electrical parts you're looking for, give us a call or an email. We have access to a huge inventory and can most likely provide exactly what you require.